There’s a proverb that says if you love something, let it go. If it returns, it’s yours. If not, well, it never belonged to you in the first place. But had my son Braden written that proverb it would go more like this: “If you love something and it won’t cooperate, stomp the guts out of it.” A few years ago he and I rescued a frog in our garage. I gently placed the little guy in Braden’s hands. We talked about the frog’s warts, his strong legs, and bulging eyes. After the brief science lesson, we set him free. Braden followed his new friend around the yard for a half hour. He tried to catch it, pet it, and steer it. He wanted it back in the garage to do with it as he pleased. But the frog wouldn’t oblige. Some of us think that God is a lot like Braden. If you don’t stay one step ahead of him, leaping quickly from his crushing blow, God will maliciously scrub you into the dust. God will eventually catch up to you and squash you for every evil act ever committed, every wrong thought that has crossed your mind, and for every missed Sunday service. Maybe it stems from an anxious childhood or from bad religious experiences, but we all too often see God for less than he is. We view him as some kind of irritated old school master keeping a ledger of our sins – an Ebenezer Scrooge – selfish, stodgy, and never to be crossed. Or we think of him as a vindictive bully, angry at the world – a cosmic Simon Cowell – one who only lets the best get by, and only then after a severe tongue lashing. Sure, a few will make it through the pearly gates, but God will be none too happy about it. Or we may imagine God, sitting in a high and mighty palace somewhere, breathing threats and intimidation just waiting for someone to cross the line, to be noncompliant, so he can squash them like a bug. 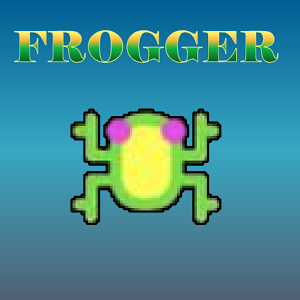 Or frog. Is this who God is? If you believe some religious extremists, certainly this is accurate. But this is not the God revealed to us by the person of Christ. Jesus reveals a God who loves with such passion that he was willing to drive nails into his own flesh to set free those living in darkness. If we’re not careful, these polluted images of God can even corrupt the very lynchpin of our faith – the cross. A vindictive God reduces Jesus to just a martyr – someone who finally stood up against this angry tyrant, and paid the price for it. But on the cross God was not saying, “See! Look what you made me do to my Son,” launching the mother of all guilt trips. Not at all. The cross reveals, not God’s anger, but God’s love. The cross, and the love that orchestrated it, was not designed to shame and guilt us into doing something we really don’t want to do. It was an intentional act of revelation. God was showing us his heart. God was showing us his true nature. God was inviting us to flush away these horrible misconceptions about who he is. In the process he was calling us to himself; to a God worth believing, a God worth worshipping, a God worth loving. And by the way, I don’t think Braden will turn out to be an axe murderer after all. Thankfully, a day later our family paused to say grace over our evening meal. When it was Braden’s turn to pray, he bowed and said: “Dear Jesus…I killed a frog.” All was forgiven.